Work for Total Party Planner? Learning about Total Party Planner? I love the team at TPP and how quickly they reply to all questions and/or suggested updates. John and his team take great care of our employees and I know that no matter the update or suggestion they will always reply quickly. I also appreciate their willingness to listen to our updates we would like to see. TPP really cares about their customers and want to make sure everyone is happy and it shows. TPP is amazing with our teams suggested updates. However, since a lot of the updates are completely custom and/or are on the radar for future updates it can sometimes take months or a year for updates. I would highly recommend reaching out to the TPP team and see how they can help make your company more efficient and organized. TPP has saved us a lot of time with quantifying food orders, rentals we own in house as well as bar and beverage products. We have become more organized and more efficient since using TPP. We also have become more green by doing more things electronically instead of by hand and printing everything. Our goal as a company is to start doing everything through TPP and we are excited for what the future holds. TPP is generally easy to use. I like that once I've built a proposal for a client, everything for that client is in one place and easy to access. I also like that I can set reminders for myself, or send tasks to others in my office regarding individual events. TPP has some functionality issues they need to update at a faster pace, and I wish there was a more cohesive app so that I could use it on the go. It's almost impossible to use on a smart phone. I think TPP is much more user friendly than a lot of other catering software out there, but still has a ways to go. If you're expecting to use it day-to-day on a desktop, you're in great shape. If you're constantly on the go, it may not be the best option. Our team has spent the past year putting all recipes into TPP so that quantifying and ordering is streamlined. What Catering solution do you use? Functionality for all of our different departments - everyone in our company can use it. It is easy to use and the proposal format is clean and easy for our clients to understand. We have made requests for updates/fixes to some functions and the response time seems very long. Would also love to see a more usable/editable app. Would also love to see an "upgraded" beautifully formatted proposal option that incorporates photos. Explore functionality in all departments of your company - there is so much available that may not be apparent on the surface. We have been able to have our coordinators complete all of their event notes and print the entire captain's packet right from TPP. This has been a great time saver for us! Our venue manager has also been able to keep notes about our 70+ venues that our coordinators can access before creating proposals. Being able to send contract and receive deposits through TPP has also been a game changer for us, saving our coordinators lots of time! Total party planner has been wonderful for our company to work with. We are on the beta team and so they have literally catered to us in terms of developing custom reports that fit our needs as a company. I love being web based so that I can literally work any where, and I think they have done a great job improving and changing with demands over the years! I think that sometimes it can take a long time to get issues resolved, but I know they are crazy busy- which is great for them. Also, I wish there was a way to get more photographs into the proposal. We have taken to using publisher to make a separate template and then we merge the docs for higher level proposals, and I'd love to cut that extra step! Our receivables are cleaner and more in order than they ever have been before! With the option to send clients a secure payment link, it makes life SO much easier for us and for them! I also love the e sign function, which enables clients to sign off on our contracts with the click of a button. The team at TPP is always willing to listen to our ideas to make the software better and they do a great job of continuing to improve their product on their own. We have really enjoyed how user friendly the software is. We also feel that it has capacity to do even more than we are utilizing it for, which is great for our growth as a company. I think they could improve on the way that proposals are presented and making it easier to make them creative and beautiful. I would highly recommend Total Party Planner. They have dedicated people that make their service second to none and the product more than meets the needs of most caterers. TPP has improved our internal efficiencies 10 fold. We utilize the program for almost everything we do and it has saved us a ton of time by streamlining processes and manual work that previously took a ridiculous number of hours. We now use TPP to automate our pack lists, menu production sheets, ordering guides, event packets and staff requests. The mixing and matching menus is a really great feature - it allows us to play around with different menus and actually see them put together. I like the contracting and invoicing can all be done from one system and that it's linked to other systems like Nowsta or Outlook. There are still some glitches - the menu headers are copying themselves to other menu headers. Menu 1 specifically sometimes reads as Menu 2. I don't understand why editing the packlist doesn't have Save feature, but when typing in Notes, if you don't click Save, everything will be lost. I wish the Notes auto saved when anything was typed!! Same goes for itemizing a menu and having the Pricing Type say 'Per Serving'. Why is the Save button so far away and why do we have to click it each time! Auto-save, please!! Essentially a one stop shop! user friendly - I love the color coordination and the ease of running reports and saving the reports that are ran frequently. The proposals look great - customized to our business. So many of the systems are linked! I started at this company when they were already utilizing TPP, and I know that everyone loves that we can work remote and do everything with one system! The program saves me hundreds of hours/year over writing everything by hand. I can get a proposal out in as few as 20 minutes after receiving the information from the potential customer. The variety and completeness of the reports makes everything simple-Worksheet, Preparation, Staffing, Shopping, Packing, Invoicing and Financials. I have been a user for 15 years and couldn't live without it. I am on the Beta Release Team, so I get all the latest updates first. It can get buggy at times, but that's why we are on the team, to make it good for others. It's hard to find anything wrong with the program other than the time it takes to get bugs fixed and implement new features. It provides everything I need to make my day easier. The biggest benefits are the time saved in preparing reports and the ability to email a proposal to a potential customer quickly, directly from the program. The recipient is very happy to get it quickly and everything is laid out clearly. This program has empowered our team to build events that are customized and uniquely tailored to each of our clients. The client-side interface for proposals is personal and professional, and the internal worksheets are a great tool for our team. It lacks the ability to prioritize the order that event contacts are displayed. The support team has been really great to work with. I would recommend reaching out to them to communicate the needs of your business to best understand how this software may accommodate those needs. This has given us the ability to equip our team and our clients for the preparation and execution of events. "It's very useful and is constantly updating which is great." It's convenient and easy to use. There are so many features of it too that apply differently to everyone who I work with.There's not 1 single way to utilize it. When it comes to be a BETA member, there are perks, but I also feel like questions we have or things we would like to be different to improve things like reports, the time it takes to see those changes often takes longer than expected. They've just created a photo feature, but there's no way to pull reports with those photos, which makes it seem kind of pointless. 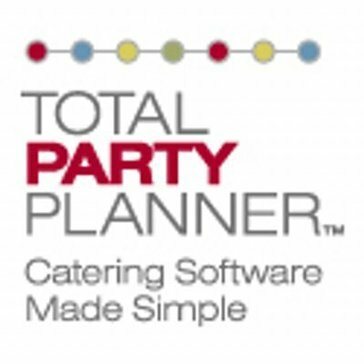 "Total Party Planner is a labyrinth of catering software tool"
TPP has saved me almost 12 hours a week by inputting all of my recipes into their system. I can now focus on big picture action items rather than sitting at a desk quantifying menus. The different reports you can pull has been really helpful. I appreciate that I can export them directly to excel. Sometimes I still feel limited in the reports I can pull and information that I need but the staff has been accommodating with our company! TPP has helped me understand the types of events we consider under marketing. It's made me realize that there isn't always consistency in the way the staff inputs information or labels things. Since our department is new, this is really helpful information while we begin to streamline processes and build a foundation for the marketing department. Total Party Planner is easy to navigate and has a wonderful Customer Support system. This is, unfortunately, extremely uncommon these days, so when it happens, it is noticed. Whether it be via phone or through the chat system online, I have been consistently impressed. I also really benefitted from the training videos available on their site as I was learning the system. I do not have many notable complaints about the Total Party Planner software. Please see comments above for my feedback thus far. If you are looking for a catering/event software system that is both user friendly AND provides wonderful customer support, Total Party Planner is the software to use. Total Party Planner has made it easy to create custom menus, enter events, view them on the overall calendar, etc. It is a really useful tool for organization within a company. I love that we can access TPP remotely from anywhere. I also love the support team. They are very responsive. I understand that TPP is always making changes to improve their customers experience. It is challenging sometime when things look different, but I eventually get used to it. This year we finally entered every menu items with recipes and costs into the system. Now it generates our production reports and order guide! The program is simple to use and allows you to customize packages based on your needs. I like the idea of itemizing so the proposals are transparent to the clients. I dislike the amount of time the program breaks on me. Sometimes it won't allow me to get access to my own proposal. I think it needs more features. If you're looking for something that is easy to use and straight forward, this is a great product for you! I'd recommend this software to new startups in the event industry. Because clients can see everything itemized on a proposal, it answers questions before the questions are even asked.The benefits are that clients know exactly what they are getting. "Total Party Planner for Catering"
I love how the TPP team is willing to take feedback and innovate their interface to meet our needs. Because they have so many features to fit the needs of other companies, it can be hard sometimes to figure out what is the best report for what we need to have in order to get our information without a lot of extra info. We are on their beta team and that use to mean a faster turn around on updates and adjustments we have suggested. They are easy to communicate with and have a very fast response time. "Best catering software on the market "
There’s nothing that I dislike about the system or the team that supports users. It keeps our operations organized in one place and has grown with us as our business has grown and changed. "TPP helps me understand events to send the best staff to each event." I like the consolidated view that TPP offers in the monthly view. It provides me with a lot of information about each event so I can make decisions on staffing without having to click into each event. I would like a report writing tool that would help me run reports easier out of TPP. It's hard for me to get all the information I need from 1 report or any reports at all. Ensuring the accurate staffing has been billed for is my greatest way of using TPP. "Why it is so important to fully understand what TPP can do before you begin. " The way the information looks for the client is very important and this software does that. Contracts are easy to read and intuitive, proposals are the same. It takes too many clicks to do some things and sometimes the clicks are on opposite ends of the page. Know your business and what you need TPP to do and be prepared to spend time inputting relevant information. I have info on almost everything I need historically from client info to menu item sales and financial info. EVERYTHING...and we don't use all even now. It has made us FAR more productive and was relatively easy to get into. It is intuitive and we were able to make it fit our ongoing business practices rather than the other way around. They also listen when we make suggestions. Easy to use and makes inventory easy to navigate. Everything is laid out well and it is a very well organized program. The Code breaks often and I find it to have a very slow network. Sometimes when you make a small edit the page reloads and it looks like you've lost everything you just did. It's a decent program, but you must be prepared to do the setup. It keeps everything organized in one spot, but there are some coding flaws. We are a catering business. TPP helps to keep all of our events in one place. I love that this Total Party Planner is constantly improving their product and always listening to their customers for feedback on how to best do so. Nothing comes to mind. We have been extremely happy with the software. Do not delay! Best software by far. The biggest bonus of the software has been it's ability to streamline our packing process for each event. This is HUGE for an off premise caterer! "love where total party planner is currently"
i dislike the ability to import information to nowsta and it come through in the details when e make adjustments. it's a great platform that is easy to use by their customers. "TPP is the easiest, most functional option I've found." TPP gives our organization one place to go to see almost all of the details of an event. I do wish that Total Party Planner had the capacity to generate floor plans for events. TPP makes it easy to track multiple events from multiple sales people all from one platform. "TPP is an incredibly helpful and easy-to-use site that has changed the way I do my job." I like how easy it is to find anything I'm looking for. I would like TPP to integrate with Nowsta more seamlessly than it does currently. TPP has allowed us to automatically generate a prep menu based on the recipes we've entered multiplied by the guest count. Very useful and easy to use and navigate! "Super intuitive and easy to use"
All of the features are very intuitive, easy to learn as you go without feeling like you have to know a foreign language! The actual website seems to experience delays/ slow downs rather frequently, which sometimes affects saving changes that have been made. Organizing complex parties that have multiple layers of finances and communication. "Good Program with Glitches "
There are a lot of features that are unused. I would really like there to be a feature with 'subevents' so you can save your old work/proposal on an event and create a new one without it being deleted. Any updates that our company would like to see take years to complete. Even something as simple as putting a break into the page. There's really nothing that I don't like about this software. It is designed by a food service person for food service people so it really nails it on all levels. Booking parties and create menus, keep track of menu items, do proposals, invoicing, checklists, almost everything a person need for catering company. "Simple and easy to follow." The organization of every detail keeps you on track and minimises accidents and flaws. The impersonalization of the orders carried out. Organized skill and layout prediction and outcome. "Excellent customer service, constantly working on improvements"
Easy to use, excellent customer service. The customer service at TPP and how they take time aside for you with an appointment just to trouble shoot any problem you may have. Costing, menu’s, weekly events, calendars, scheduling etc..
* We monitor all Total Party Planner reviews to prevent fraudulent reviews and keep review quality high. We do not post reviews by company employees or direct competitors. Validated reviews require the user to submit a screenshot of the product containing their user ID, in order to verify a user is an actual user of the product. Hi there! Are you looking to implement a solution like Total Party Planner?